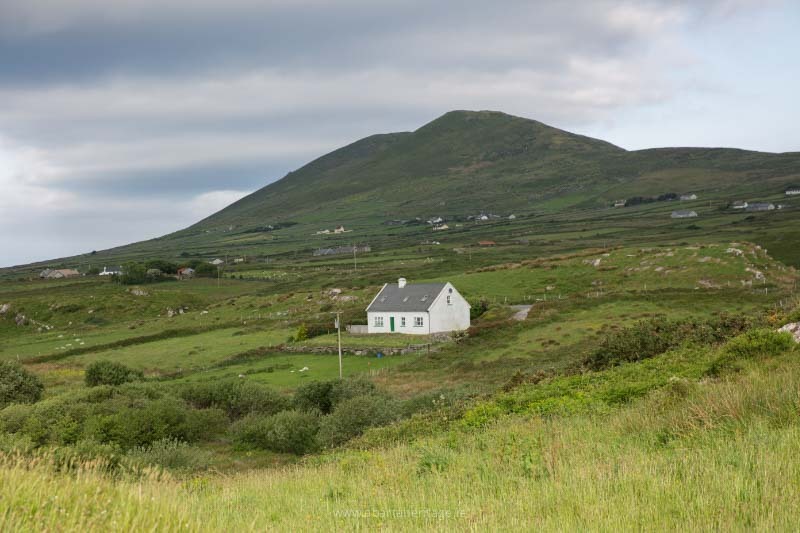 We spent part of this week exploring the Wild Atlantic Way Kerry. 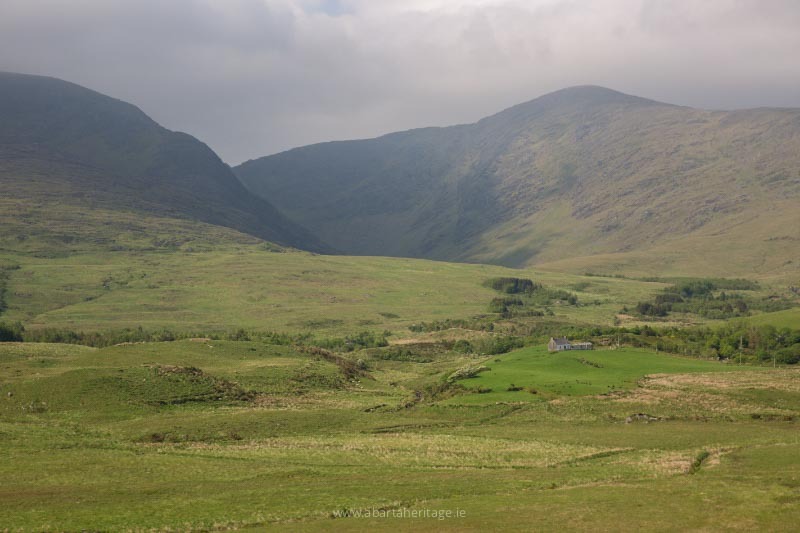 It’s easy to see why County Kerry is such a popular place for visitors to Ireland, its breathtaking scenery with majestic mountains and rugged coastline make it one of the most beautiful places in the world. 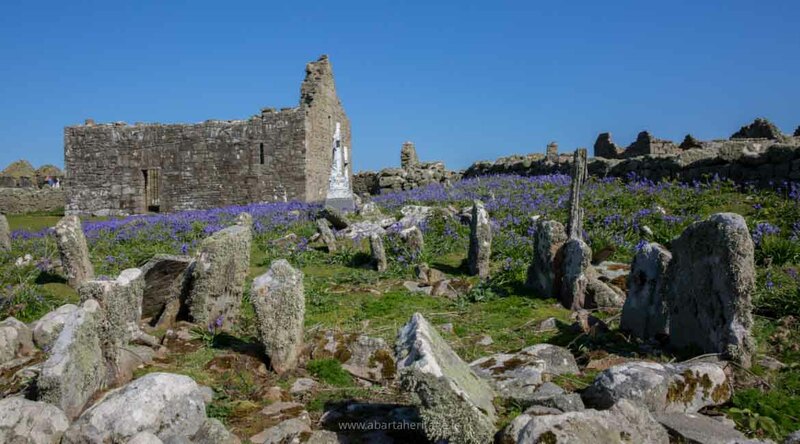 We were there to discover a little of the heritage of the county, and we planned to visit a number of historical sites in preparation for Neil’s forthcoming guidebook to the historical sites of the Wild Atlantic Way. 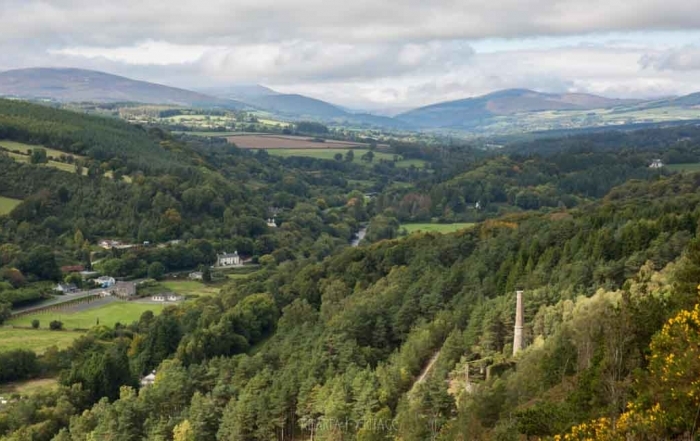 We had a rough list of around 30–40 historical sites that lay along [or in close proximity] to the Wild Atlantic Way, and we only wish we could have stayed longer and explored more as around almost every corner of the county we found a fascinating story or a stunning vista. Overall we were incredibly fortunate with the weather, and each of the days stayed dry and warm, and even got up to around 20ºC (68F), though low cloud did prevent us climbing to Caherconree. 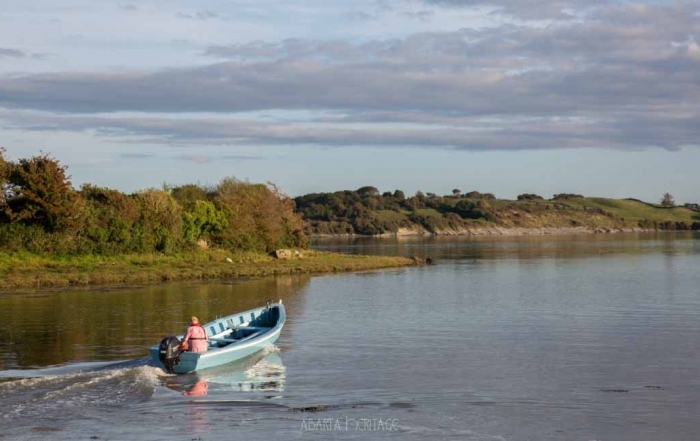 We began our trip in the North of County Kerry, and visited sites along the southern side of the Shannon Estuary. 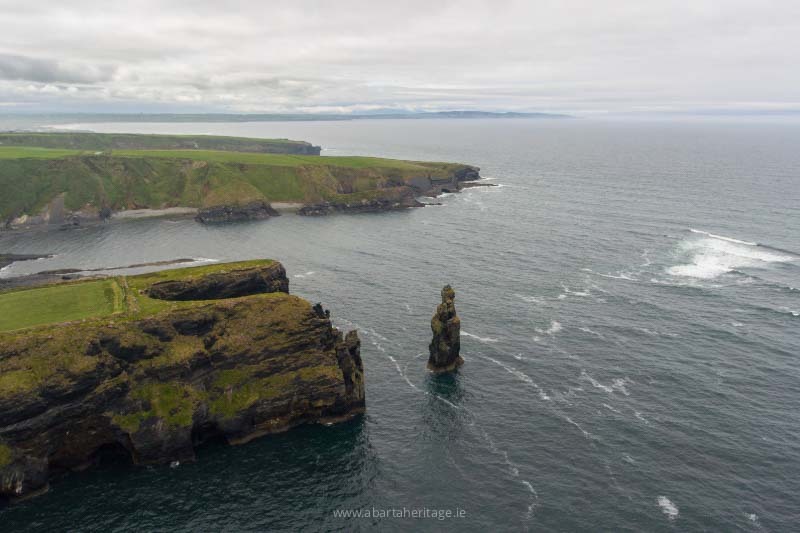 We started with the medieval ruins of Lislaughtin Abbey, then on to Carrigafoyle Castle, and the spectacular Bromore Cliffs. 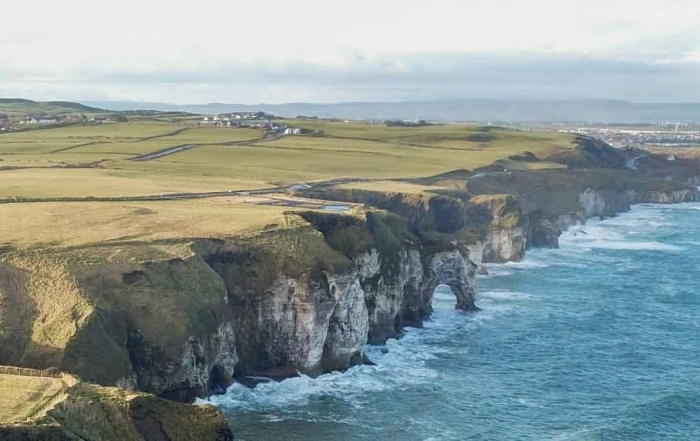 Travelling further south and west, we visited Adfert Cathedral and Friary, Banna Strand and Casement’s Fort, before we made an attempt to visit Caherconree Hillfort. Unfortunately when we arrived Caherconree was completely covered in thick cloud, so we’ll have to return to try again another day. The next day we continued our journey and took the spectacular Conor Pass, though again the summit was covered by cloud and denied us a glimpse of the spectacular views. 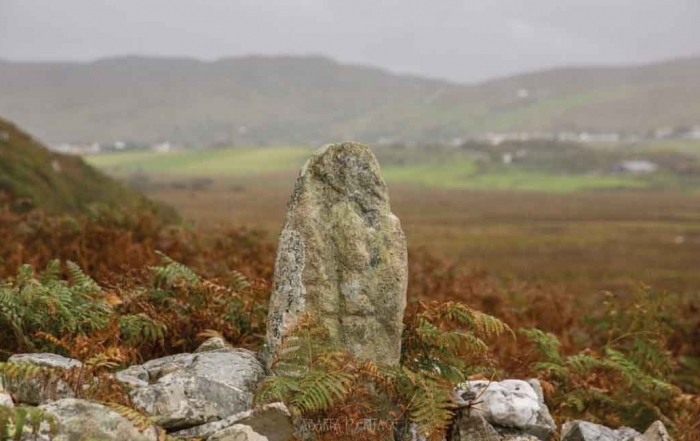 The Dingle Peninsula of County Kerry is remarkably packed with archaeological monuments, and the biggest challenge we will face is the decision between what we will eventually include in Neil’s guidebook and what we will have to leave out. It was a little challenging to find some of the sites, as we noticed there is generally a lack of directional signage for heritage sites, but using the Discovery Series Ordnance Survey Maps we managed to locate the majority, although some sites like Gallarus Oratory are particularly well-signed and very popular as a result so perhaps a little mystery helps! 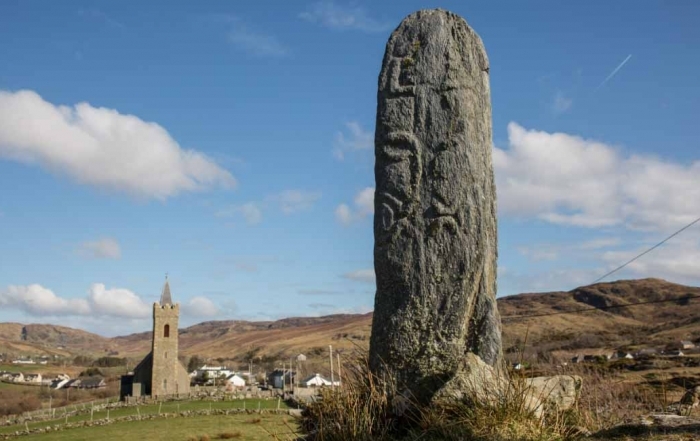 Gallarus is nearby to other important early Christian sites like Kilmalkedar and Reask, and it was a very enjoyable few hours exploring these fascinating monuments. 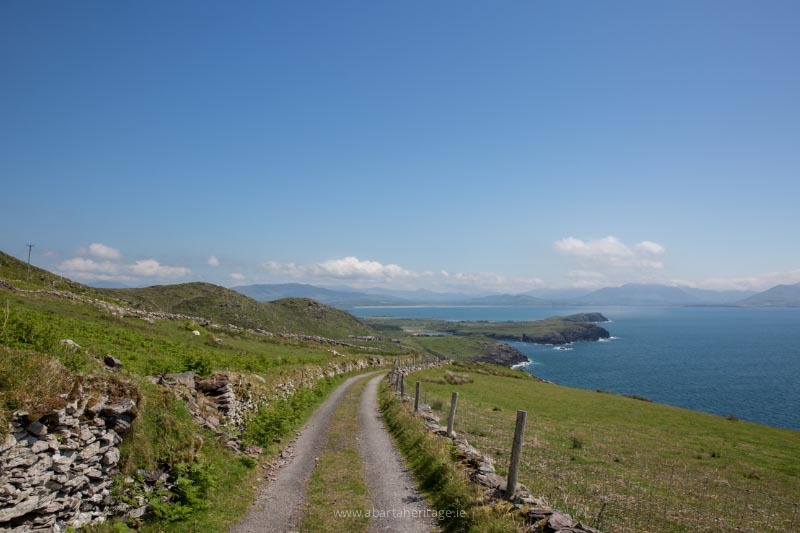 The scenery of the Dingle Peninsula is just awe inspiring, and almost dangerously distracting for drivers! 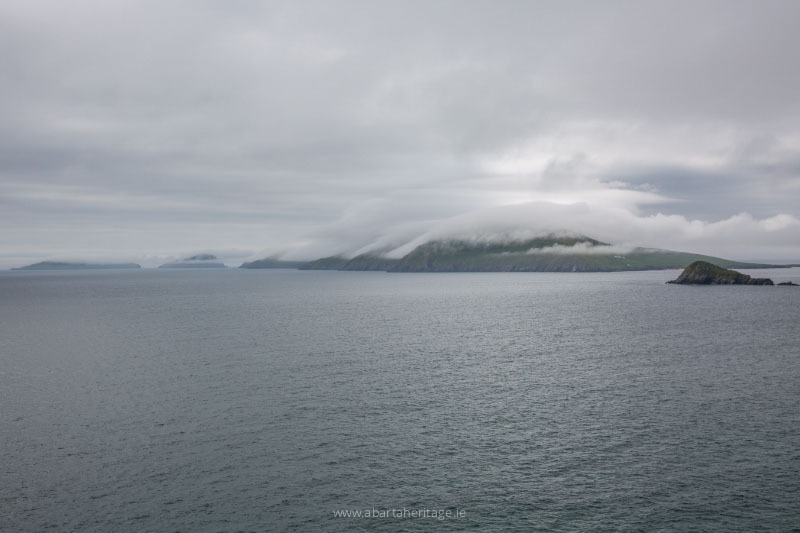 When visiting the Blasket Centre to discover the story of the Blasket Islands I purchased a new book by Felicity Hayes-McCoy which I found really inspiring for this area, it’s called Dingle and its Hinterland and it has recently been published by Collins Press. 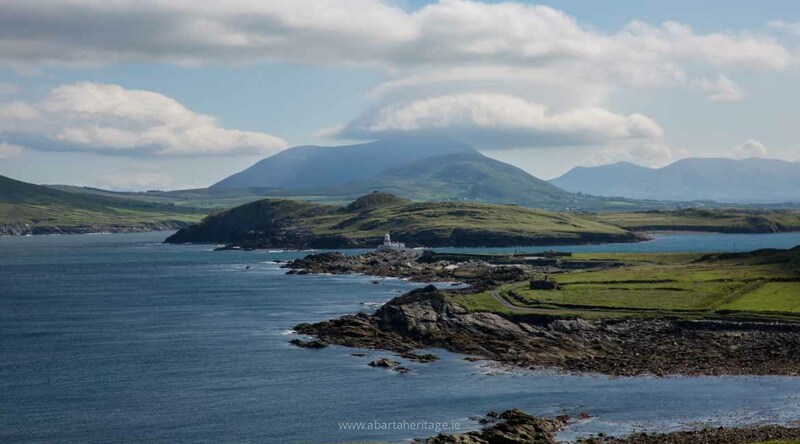 The famous Dunquin Harbour is nearby to the Blasket Centre and it’s a great place to stop for a while to enjoy the views over the Blasket Islands. 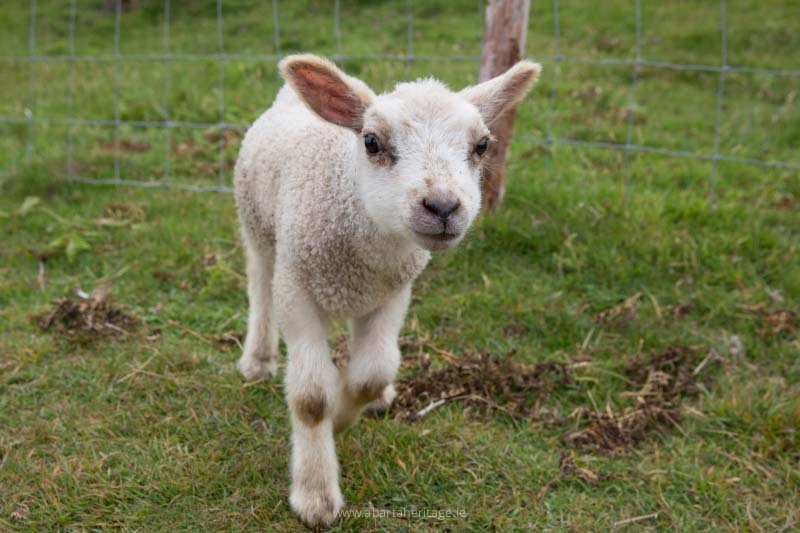 Continuing onto Slea Head we stopped at a number of sites, including the stone forts at Fahan where we met the charming Grainne the lamb before travelling onto Dingle, followed by Minard Castle. 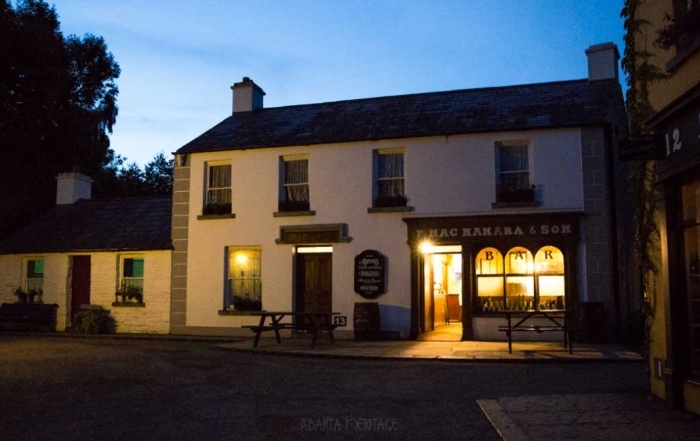 Other highlights of the trip were the stone forts of Cahergall and Leacanabuaile and Ballycarbery Castle near Cahersiveen, Valentia Island with its stunning scenery, Ballinskelligs Abbey and Derrynane House, the former home of the famous Daniel O’Connell. Though I think the most atmospheric site was the ancient Christian site at Kildreelig near Ballinskelligs. It was the kind of place that you could easily spend hours and hours just contemplating and taking in the views, I found it a real wrench when we had to leave to continue our journey as it was so peaceful, though the extremely narrow road back certainly broke the spell of tranquility! This is just a little flavour of some of the amazing places we saw, and we’ll be featuring each of the 30–40 individual sites in more detail in future posts. 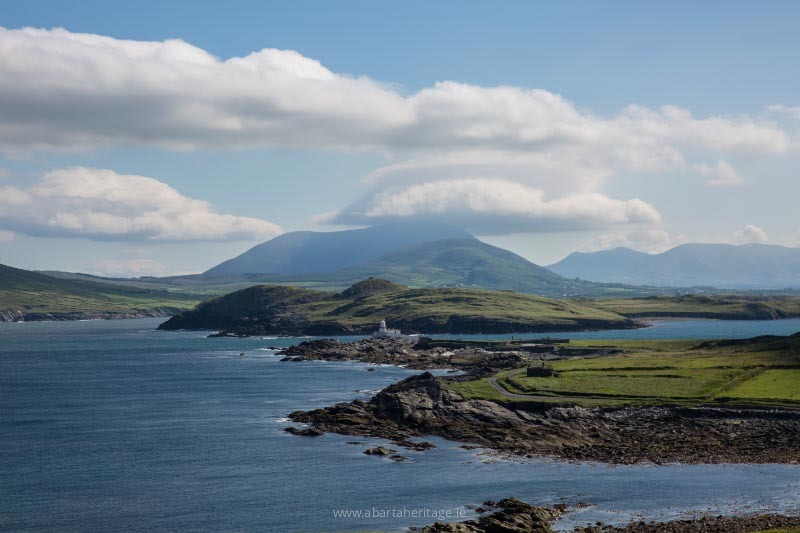 We’re planning our next journey to the Wild Atlantic Way, so fingers crossed we get as lucky with the weather! 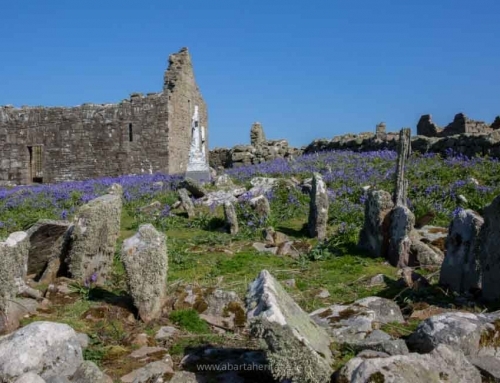 If you enjoyed this post about Wild Atlantic Way Kerry you might also be interested in our recent trip to Inishmurray, an ancient monastery on a deserted island off the coast of County Sligo, another gem of the Wild Atlantic Way! Please Help to Share This Story, Choose Your Platform!